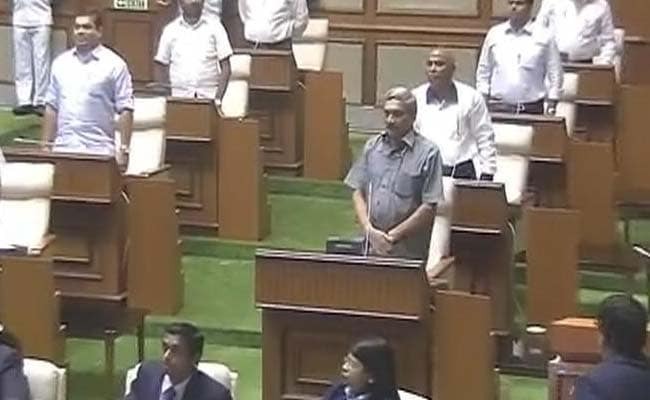 Panaji: Goa Chief Minister Manohar Parrikar today said the spending on education would be increased from current 3.8 per cent of GDP to 6 per cent of GDP in next five years. "Goa spends 3.8 per cent of its Gross Domestic Project on educational sector. In this five-year term, we will touch it to six per cent (sic)," Parrikar said while addressing a gathering near Panaji in the presence of Union HRD Minister Prakash Javadekar. Parrikar said that right from his first tenure as the chief minister, he has always preferred to retain Education and Finance portfolios with him. "I have purposely kept these portfolios with me. Finance is my love whereas Education is another portfolio which I like to handle. Portfolio of Education, which contributes for 30 per cent of total budget, is not preferred by many of the ministers," he said referring to his four different stints, including the current one where he is heading the coalition government. "It is that department where you have to carry burden and no much avenue for development," the Chief Minister said. Parrikar said that during his all stints, he has pumped in a lot of money in creating infrastructure for educational institutions. The CM said that the state government wants to create integrated school complexes, where all educational institutions would be accommodated at one place. Panaji has already accommodated the educational institutions at Bambolim. "We intend to spend more Rs 50-100 crore on creating integrated school complexes. We are working out on the complexes in Margao and Mapusa," he said, adding that it has been the demand of the people to shift schools out of city in secured places so that urban areas get decongested of traffic.